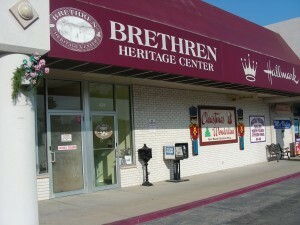 The Brethren Heritage Center in Brookville, Ohio, is devoted to preserving the heritage of all Brethren groups. Esther Rupel, an expert on the subject of Brethren dress, is scheduled to be one of the speakers at the annual open house of the Brethren Heritage Center in Brookville, Ohio. Following the theme of “The Fabric of Our Lives,” the May 15 and 16 event will also showcase several quilts from the center’s collection. Children’s activities are planned for the weekend, along with refreshments, including homemade ice cream. The purpose of the Brethren Heritage Center is to collect, preserve, and provide access to primary and secondary source materials of the various persons and institutions tracing their heritage to the baptism near Schwarzenau, Germany in 1708. These include the Brethren Church (Ashland Group), Church of the Brethren, Conservative Grace Brethren International, Dunkard Brethren, Fellowship of Grace Brethren Churches, Old Brethren, Old German Baptist Brethren, and Old Order German Baptist Church. The Heritage Center is located at 428 Wolf Creek Street, Brookville, Ohio.